Christopher Lee’s IP litigation and deal-making career has evolved over 25 years. Mr Lee began as part of the litigation teams at some of the best-known manufacturing stalwarts, before moving on to become trial counsel in high-stakes trials resulting in eight and nine-figure verdicts for his clients. He then became a counsellor for innovators, utilising his skillset which combines extensive litigation, trial and deal-making experience and a keen understanding of his clients’ strategic business needs. At the law firm he co-founded in 2015, Mr Lee and his partners represent and counsel clients in IP disputes on both sides of the ‘v’, as well as transactions on a variety of traditional and innovative fee arrangements and litigation financing. Previously, he was a partner at the Chicago-based Niro, Haller & Niro law firm where he was involved in some of the biggest and consequential IP cases in the late 1990s and subsequent years. Mr Lee is passionate about innovations and the economic and social impact that innovators have had. He believes that quantum leaps in technology are often made by start-up and emerging companies, whose engineers and scientists cannot afford to stake their careers on making incremental improvements to existing technologies. These innovators think big, gamble bigger and rely on the protection of intellectual property even more for their success. 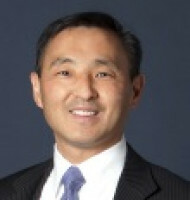 Mr Lee’s deal-making has evolved from litigation-induced licensing discussions to other types of strategic deal-making, including indirect licensing, potential defendants in litigation, third-party entities, patent pooling, participation in standard-setting organisations and strategic sales or acquisitions of under-utilised IP assets for companies looking to enter specific markets or mired in litigation. Mr Lee is a registered patent attorney with a degree in chemical engineering with substantial coursework in electrical engineering and business. His clients have included multinational corporations, emerging companies, individual inventors and private equity firms. Mr Lee has also lectured, commented and written articles on IP litigation, legal ethics and financing high-stakes IP litigation.